Nourish the body, nourish the spirit. Caring for our neighbors in need. Simple actions—making a sandwich, donating canned goods or cooking a meal—can mean a make a big difference for people without reliable access to food. Joining hands with our ministry partners, Our Redeemer’s is dedicated to providing nourishment, comfort and support for our neighbors who are struggling with food insecurity. All are welcome to join in our year-round events and projects that reach out to individuals and families experiencing hunger in our community. Take a look at the opportunities below, visit the calendar for event information or get in touch to learn more about how you can help. Ballard Sunday Dinner is a neighborhood effort organized by five area churches (Ballard First Lutheran, Our Redeemer’s Lutheran, St. Paul’s United Church of Christ, Amazing Grace Spiritual Center, Northwest Christian Church) and Sustainable Ballard. Ballard Sunday Dinner provides a hot, wholesome meal every Sunday evening from 5:00 p.m. to 6:00 p.m. at Ballard First Lutheran Church (2006 NW 65th St, Seattle, WA 98117). Our Redeemer’s leads the effort on the 3rd Sunday of each month (with some exceptions) and volunteers are welcomed! Positions include set-up / cooking, greeter and clean-up. No experience necessary! Volunteers can sign up on-line, or contact Margaret Wetter to learn more. To cover the start-up costs (purchasing utensils and staples) as well as some on-going staffing costs, cash donations are accepted through a CrowdRise campaign. 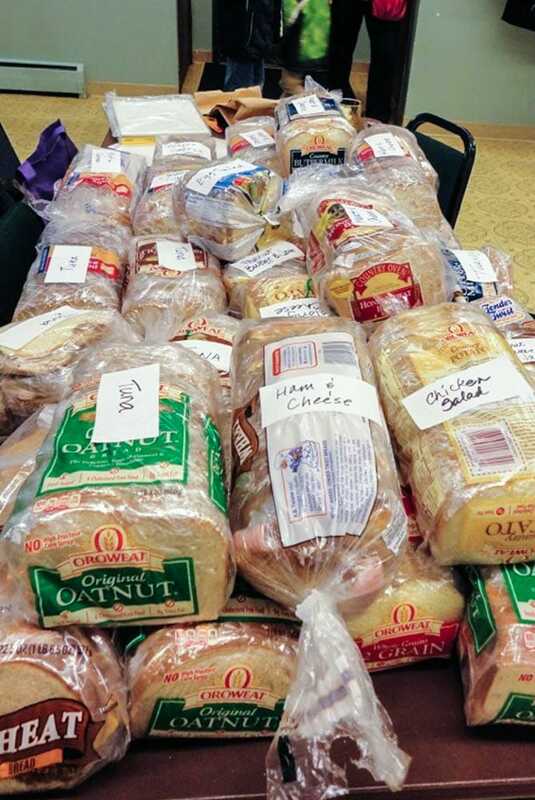 Roll up your sleeves and help prepare more than 300 sandwiches for the Peter’s Place Day Center. To participate, pitch in on a Sunday morning after worship four times a year. People of all ages are welcome to join in. Visit the calendar for information on our next Sandwich Sunday. 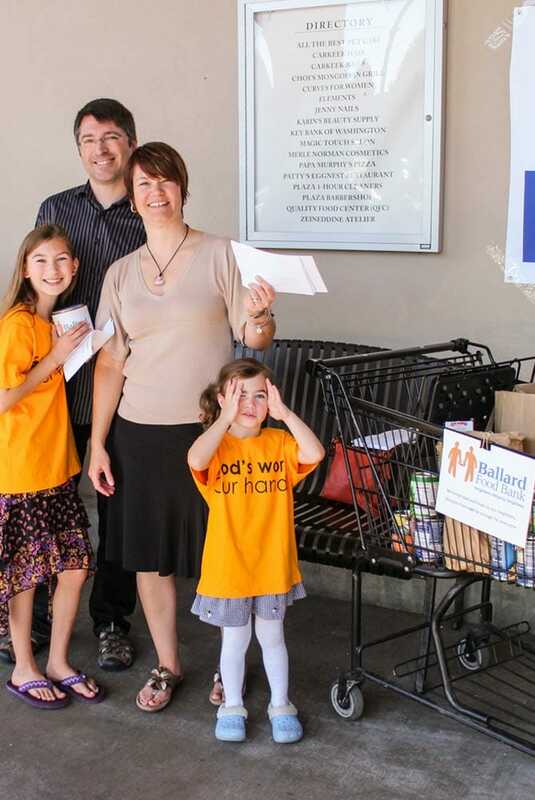 Our Redeemer’s helped start Neighbors in Need, which later became the Ballard Food Bank. Our long-standing relationship with the Ballard Food Bank increases our capacity to serve the surprising number of people experiencing hunger and food insecurity in our community. We collect non-perishable food, hygiene items and financial gifts for the food bank. The second Sunday of each month is Food Bank Sunday, but donations are welcome any time. A couple times each year, we collect donations for the Ballard Food Bank outside local grocery stores, and church members volunteer at the food bank all year long. Last year, we participated in the Food Bank’s backpack program, which provides 200 backpacks with a weekend’s worth of food for food insecure families. Our members serve the food bank on the board, as drivers and as volunteers within the facility. However you participate, we hope you’ll be a part of supporting this important organization. 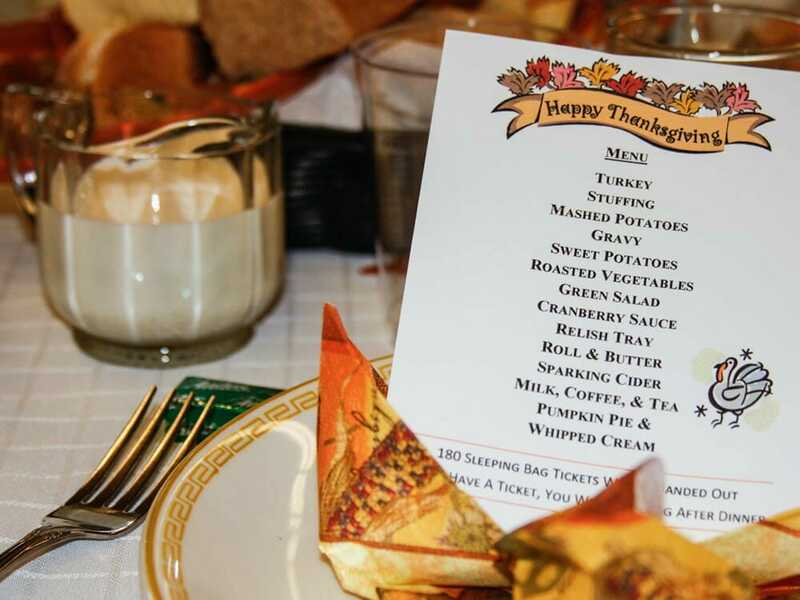 On Thanksgiving Day we prepare and enjoy a joyful community meal with our neighbors, many of whom are experiencing hunger or homelessness. With a spirit of thankfulness, we welcome everyone to our fellowship hall, which is usually overflowing with people sharing great food and conversation. Sleeping bags are given to those who need them. Sign up online during November and join us for this special celebration. 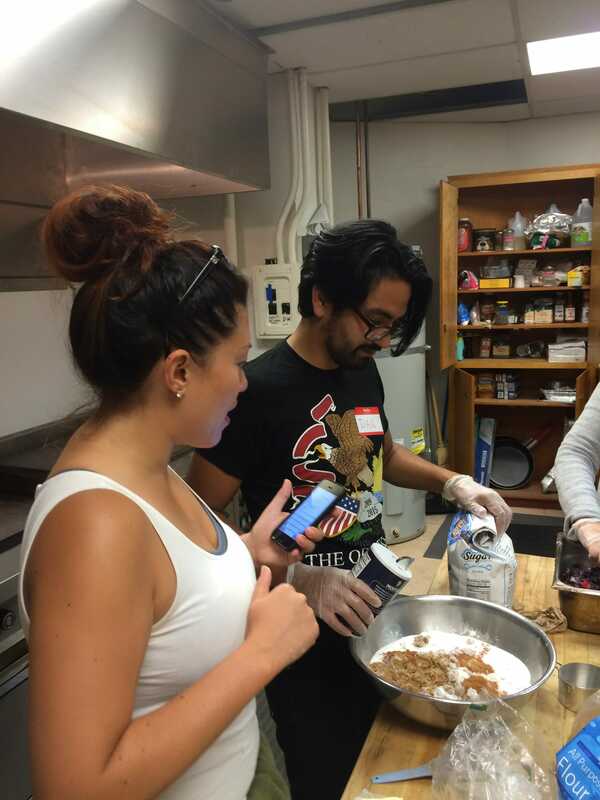 Along with shelter and hospitality, this small but mighty ministry provides a home-cooked meal four evenings a week, lovingly cooked for people who are homeless and mentally ill who come to us through Catholic Community Services.